You’ve heard the chatter. IPads have become the go-to literacy tool for authentic learning in the K-8 classroom, the one that says ‘Our program is cutting edge, up-to-date, inquiry-driven‘. Students want to use them, want to share and collaborate on them, and will follow almost any rules if it means they get that tablet in their hands. The problem with the iPad as with the internet is: TMI–too much information. There are tens of thousands of apps, each proclaiming itself to be the solution to all classroom problems, each promising to be the practical strategy for learning math or science or state capitals or whatever their buzz word happens to be. Yes/ No – Is it relevant to the curriculum framework? Please add any additional comments regarding implementation. Yes/ No – Is on-screen help and/or tutorial available? Yes/ No – Does it have multiple ability levels? Yes/ No – How does it respond to errors? For example, incorrect spelling. Yes/ No – Are there audio/video options with controls? Yes/ No – Can selected material be tagged, copied, pasted, saved, and printed? Yes/ No – Does it keep a history of the user’s work over a period of time? Yes/ No – Features that address special needs? E.g. physical, aural, visual, ESL. Yes/ No – What support materials are included? For example, online resources, booklet, lesson plans, student worksheets? Yes/ No – Does the material accommodate diverse ways in which students learn? Yes/ No – Is it developmentally and age appropriate? Yes/ No – Does it provide an opportunity to increase students’ understanding? Yes/ No – Does it provide an opportunity for higher order thinking? Yes/ No – Does it provide an opportunity for engagement and interaction? Yes/ No – Does it provide opportunity for collaborative practice & idea sharing? Yes/ No – Does it promote creativity and imagination? Yes/ No – Does it provide an opportunity for problem solving? Yes/ No – Does it provide feedback and assessment? In coming up with possible apps, I went to reliable sources (Edudemic, Scholastic, Time Tech), considered where their lists overlapped, and then compared the results to apps students at my school like. Why use my school as the petri dish? Because that’s where I can see students in action with the apps, validate written information or reject it where necessary, even add insight of my own developed by watching the app in the hands of dozens of students. Garage Band–for $4.99, GarageBand turns your iPad into a collection of Touch Instruments and a full-featured recording studio so you can make music anywhere you go. Educreations–turns your iPad into a recordable whiteboard. Creating a great video tutorial is as simple as touching, tapping and talking. Explain a math formula… Create an animated lesson… Add commentary to your photos… Diagram a sports play…. Downside: Students must have an online account to share their work with others. They can’t email teachers from within the app. Screenchomp on the other hand allows emailing to teachers, but doesn’t have a text tool–it’s more geared for drawing. I’d like a hybrid of the two. Google Earth–Fly around the planet with a swipe of your finger. Go on virtual tours (the White House is amazing). Explore distant lands and get reacquainted with childhood memories. For more, click Great Apps. What are your favorites at school? Tags: apps, how to, ipads. Bookmark the permalink. Previous post ← Tech Tip #110: Sound Doesn’t Work? Reblogged this on Fletcher EdTech. A good start but you have omitted assessment, and publishing. I think that the key to effective iPad integration is to elevate what we ask the students to do above busy work. Too many apps do not enable formative assessment, so how will a teacher know what a student has done, other than be engaged for a period of time? I get my teachers to ask “so what?” questions of the app. I also show them how to move data from one app to another to enable work to be published, appraised by peers and crucially to provide evidence to the teachers. Without these key steps teachers simply digitise their existing practice. This is true. Do you have favorites that you use for formative assessments? And I find the publishing from apps difficult. What do you suggest as apps for that (beyond, of course, Google Apps). To answer your question I would use the following example: An app like WordsPyramid, which has good” word level” literacy work in it for students, but produces absolutely no usable information for teachers. When the students close the app, their work is gone! I teach the students to screen capture each of their efforts and then load these images into Skitch to annotate what they had done, or Fotobabble to notate and record what they have done or Educreations to annotate, collate and record what the group had done. By passing information in this way from one app to another, the students have been enabled to publish their WordsPyramid work to the Internet using apps like Fotobabble or Educreations. I have several videos on these apps on my blog just look for ‘App of the Week’ if you are interested. Once the work has been published to the internet, apps like Fotobabble and Educreations allow users to embed the content into a blog, wiki, LMS or website of your choice. Once there other students can review the work, teachers can use the content for formative assessment and also parents can be involved in the learning processs. You will see the kinds of questions I get teachers to ask of their apps in the post link above. I believe that if the iPad is to be integrated purposefully into a classroom then teachers need to think about how to easily enable students to publish, so the ability for an app to be able to share with other information sources and critically enable embedding is critical. What great ideas. Of course–it’s pretty obvious now that you’ve pointed it out. And these are steps all teachers can take with their current knowledge. I see your website has a lot of information on these approaches. I wonder if I might repost your 2/13 blog post for my readers or if you’d prefer to write one with a slightly different slant. I’d like to highlight how you use apps with other apps for formative/summative assessments (and publishing and sharing)? Very close to what your comment here is, but in the main blog so more readers find it (check my sidebar stats–I get pretty good readership). Let me know. Great work! Glad that you like my simple and effective ideas for turning “enrichment’ apps into something more than busy work, by layering features of differing apps together. Am happy for you to repost my post to your site, I also have a differently worded piece of about 1000 words if you want to use that? Just let me know. In addition I am always looking for collaboration partners for some of the long term collaborative projects I have in play with the schools I work with. Would you be interested in partnering in some of my collaborative projects around writing and gaming? I am currently repeating the following project in several schools and am looking to push the collaboration beyond time zones http://dakinane.com/blog/x_post/hunger-games-update—fuel-to-the-fire-00164.html If this is the kind of thing that you or teachers you know would like to get their teeth into lets talk. I jumped over to your link–fascinating. I have Minecraft Mania going on in my school, but it’s the same idea–gamification of education. I love the idea of partnering, but my school is rather close minded about the curriculum. I have not had a lot of luck getting my way on most of my ideas. I’d be happy to share your progress in those schools. I think games are a wonderful direction for tech to take education. Great article. I’m going to repost it on this blog (probably next week–it’ll have link backs to you with appropriate credit). 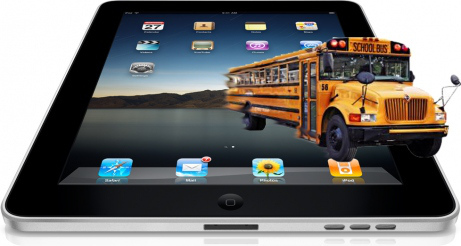 This is a concern I hear from teachers now that iPads are becoming integrated into tech ed. Thanks for that, just let me know when you do re-post and I will promote via my networks. Have you had a chance to look at my range of “app of the week” posts? These posts all have a video in them outlining the main features of the kinds of apps that I promote to enable publishing and formative assessment. You might like to share these with your readers too? Absolutely. It’s scheduled for March 14th. You share some important ideas so I wanted to get them out there fast. If you’re going to promote it (which I love), I’ll pen that date it–it won’t change. If you have time, maybe you could drop by in case there are comments. Pingback: My Diigo 02/28/2013 | Tech in Two Minutes!